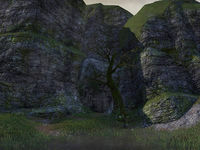 The Ayleid ruins of Dwynnarth that grin down from the bluffs above Hag Fen were plundered and emptied out generations ago. But it seems there are forgotten mine tunnels beneath the lowest levels of Dwynnarth that might not be quite so empty. Spindleclutch I is a group dungeon found in northern Glenumbra. The cave is infested with spiders, although something more sinister lurks within. In the normal version, Praxin Douare wants your help clearing the cave of spiders and other possible threats. 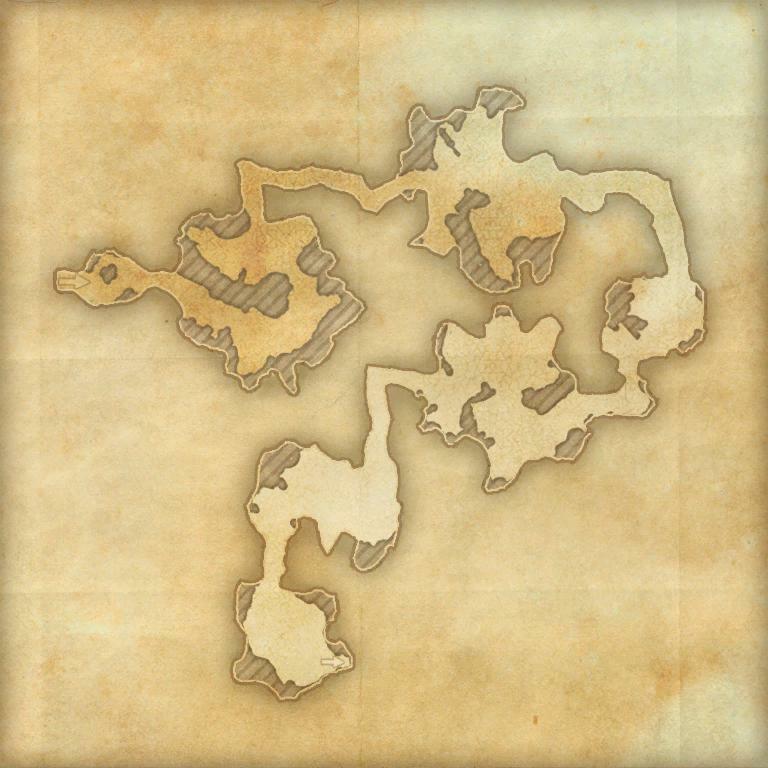 You can learn about its location from Mindil the Untested in Vulkhel Guard, Mighty Mordra in Daggerfall, or Roaring Ramavel in Davon's Watch. Its dungeon sets are Knightmare, Prayer Shawl, and Spelunker. Spindleclutch Objective: Explore the Spindleclutch caverns. Pledge: Spindleclutch I: Explore Spindleclutch I and return Undaunted. 5 items: When you heal a friendly target, you have a 6% chance to grant them a damage shield that absorbs 28-2425 damage for 6 seconds. 5 items: Adds 4-400 Weapon and Spell Damage to your Undaunted abilities. When an ally uses one of your Undaunted ability synergies you restore 17-1500 Stamina. 5 items: When you deal melee damage, you have a 20% chance to apply Minor Maim to all enemies within 8 meters of you for 5 seconds, reducing their damage done by 15%. 2 items: When you block an attack from an enemy that is further than 5 meters from you, you spin strands of spider silk to pull the enemy to you. This effect can occur once every 1 second. Spindleclutch I Vanquisher 10 Defeat the Swarm Mother and the Whisperer in Spindleclutch I.
Spindleclutch I Conqueror 10 Defeat Spindlekin, the Swarm Mother, Cerise the Widow-Maker, Big Rabbu, and the Whisperer in Veteran Spindleclutch I. Quiet at Last 50 Defeat the Whisperer in Veteran Spindleclutch I, after invoking the Scroll of Glorious Battle. Veteran Corrupted Slayer 10 Defeat 350 Corrupted in Veteran Spindleclutch I.
Spindleclutch I Survivor 50 Defeat the Swarm Mother and the Whisperer in Veteran Spindleclutch I, without suffering a group member death. Spindleclutch I Assassin 50 Defeat the Swarm Mother and the Whisperer in Veteran Spindleclutch I within twenty minutes of starting the dungeon. Timer starts when players engage the first group of spiders. Before dungeon scaling was introduced in Update 5, Normal Spindleclutch was designed for levels 12-15, and Veteran Spindleclutch was designed for Veteran Ranks 1-5. Prior to Update 12, Spindleclutch I was only available in Normal mode, and Spindleclutch II was only available in Veteran mode. These were named Spindleclutch and Veteran Spindleclutch respectively. Mike Finnagan, Dungeon Lead for ESO, revealed on 23rd June 2016 that there was a standing joke relating to this dungeon among the Dungeon Team. He said, "When developing Spindleclutch, everytime we would mention the name we would make this high pitched hair metal screech of the name and play air guitar. It became this kind of running gag with the dungeon team. It got to the point that we went to Bethesda and asked if we could make shirts for our team so, everyone on the team at the time has a shirt with a stylized Spindleclutch (like an 80s Hair Metal band concert shirt) logo and the teams birthdate and places on the back made to look like tour dates". This page was last modified on 18 September 2018, at 22:58.